You may have noticed that we didn’t have an E3 2017 preview of Destiny 2. 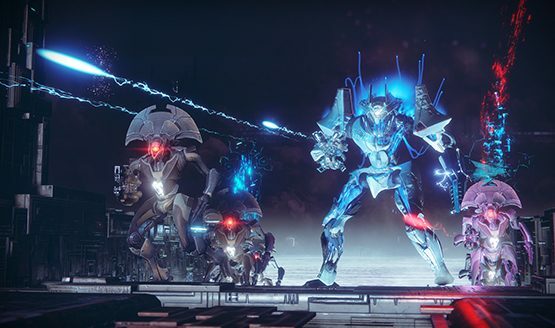 Being that the content was the same as the Destiny reveal event and we extensively covered it with previews, an interview, and a recap of the stream, we wanted to take our time with Bungie at E3 to sit down and talk to Game Director Luke Smith. 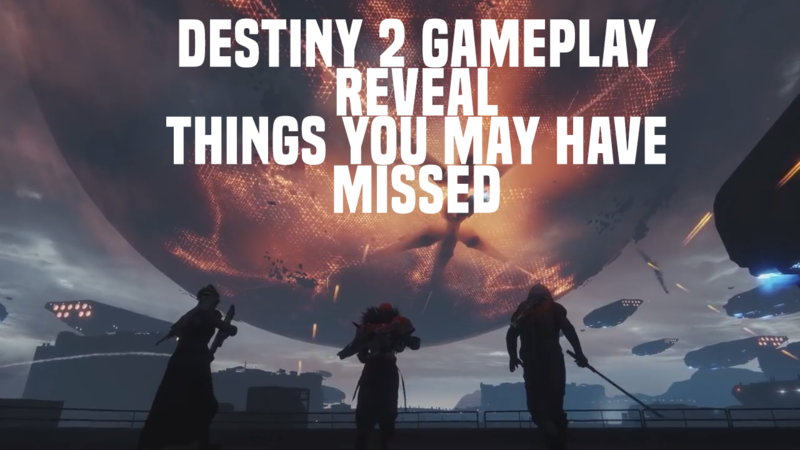 It’s been one month since the big gameplay reveal of Destiny 2 and we pick his brain about the stress of managing such a massive project, teasing the fans through clever wardrobe changes, brand new sound design, and returning characters. What would a Destiny game be without a Cryptarch, right? PlayStation LifeStyle: Luke Smith of Bungie, you are Game Director for Destiny 2, the big number 2! Luke Smith: I sure am! It is an immense opportunity with an equally immense amount of pressure. PSLS: Are you feeling it? LS: Candidly? I didn’t realize how stressed I was until we finished the Destiny Reveal Event. Like that was actually, for me, probably the most stressed I’ve been in my entire life, because now not only do we have the challenge of trying to create, as a team, create this awesome piece of entertainment that we want to get in our players’ hands this fall, but we had this additional layer of pressure of how do we reveal it in a way that is different and unique? There was a bunch of preparation and work on our side and the incredible tech crew– Like watching the [E3] press conferences this week has been kind of amusing to me because I know exactly what they’re going through. You can tell, like, oh my gosh the teleprompter was in a rough spot because you can see his eyes moving and it’s not in a spot that’s natural, and man, someone could have done a better job to set that up. I just think back to the crew of folks we had at the Destiny Reveal Event and it was just an incredible group of professionals who were just dedicated to helping us look as good as we could, and that was amazing. But that was definitely the most stressed. Where we are now, we’re winding down, and that doesn’t mean we’re done. We have a lot of work to do. PSLS: You’re winding down to winding up. LS: Yeah, but this part I and the team, we understand this part. We understand that we finish the game, we ship it, we understand the final passes of tuning, of which we have a number to do on the game. But this is a known quantity in the way that DRE I thought was a known quantity, but emotionally it was totally an unknown quantity. PSLS: DRE being the Destiny Reveal Event. LS: Yeah, our abbreviation. The Dre! PSLS: I have to ask, you wore two different hoodies there on stage. I went back and I re-watched that whole thing, and I did a 4,000-word recap, and I noticed you wore two different hoodies with two different symbols there. Is there any significance to that? LS: I always have a reason and with stuff like that, that’s always pretty deliberate. There’s almost always a plan. And with reason and plan, there will also be a time for the reveal. PSLS: So you are teasing something there? LS: You know, it’s funny. That particular trick is a trick that I had used internally on the team before, where I’ve had different presentations where I’ve done hoodie changes with other stuff. In [The Taken King] we did it where, all the foundries for the game, like Suros, Omolon– we hadn’t really made those foundries real until TTK, and I worked with Jim who is our [visual department] lead, and he and I talked about well, what if I changed clothes between talks for the team. It was just a funny idea and for DRE I had an idea again, and let’s do that trick on a little bigger stage. Give the fans something to talk about. I’ve seen a bunch of pretty interesting analysis, and I’m excited for the day when we can find out if the analysis was right or not. PSLS: You’re about a month past DRE. You’ve been able to come down off the high a little bit. LS: Oh the high was over that night. We did interviews late, and we’re just done. The high is over and it’s time to get back to work. PSLS: What things have you heard, good, bad, things that you definitely can go, alright we nailed this, or okay, we missed the mark, and this is something we need to change before launch in September? LS: I think that so few people have touched the game so far, and a bunch of the valuable feedback comes from playing. As we continue to expand the number of folks who are getting hands on and getting playtime with the game, we’ll learn more. Here at E3 we have a bunch of the DRE content with the Arcstrider that we’ve added into the mix. The Beta is going to be a similar extension with a couple of little new things and that’s going to come out in July, so it’s an opportunity to get more people with their hands on the game and see what they think. There wasn’t anything terribly surprising about what people said on the negative side. We can certainly predict a bunch of that. I think on the positive side I was really happy with the team’s execution, both us and Activision, and the amazing stage crew. The execution and quality was just great. I could not have been prouder of both the presenters and just of the entire venue– it was awesome, just everyone involved did a great job and it exceeded what I was hoping for. I went and did the hard thing after it was over of watching the whole thing, and you have to watch yourself, and it’s as bad as listening to yourself on a podcast where you’re like I can’t believe I sound that way. My own critiques of me notwithstanding, I was so happy for the team. I think the folks back at Bungie– the only thing I wish I had was video footage of the folks back at Bungie watching it so that we on the away team could make sure that we were representing the game and the team’s work, and that they were happy and proud of us. PSLS: How do you feel about the meme-ification of aspects of the game? You’ve got Gary that was a joke that you put into the [reveal] trailer and now that’s Ghaul’s name. You look at Reddit and it’s Gary. I refuse to ever call him Gary. He is Ghaul because he’s terrifying and Gary is not a terrifying name. Things like calling the Arcstrider the Poledancer, does that bother you when you’ve put so much work into creating this game, or is it just this funny aspect of the community? LS: I think it’s awesome to be able to let the community take it and run. If the community doesn’t think that Claude, who’s the abilities lead, and Jill Scharr, who does a bunch of the writing for the abilities, and I didn’t sit around and laugh about actually naming the Arcstrider the Poledancer before we shipped it, then they just don’t know us very well. We’d all talked about like, it is a Poledancer, and the community just picks it up and takes it. Gary and Ghaul, there’s like a super-serious part of me that’s like we shouldn’t have had the Gary joke, it’s disrespectful to Dominus Ghaul! But if you let yourself think about that too much, you totally lose sight of this really important part: It’s video games. Let’s keep it fun. So when stuff like that happens and it can bring the community together and they can run with it and have a great time, that’s awesome. I ain’t got nothing bad to say about that. That’s amazing. PSLS: You said the keyword that I always think about with Destiny, and it’s that Destiny is the community. LS: In a bunch of ways, the community is a big part of it, yeah. PSLS: PvP versus PvE balancing is a touchy point, but it’s something that makes Destiny unique. You can go through the PvE and you can jump into Crucible and it feels and plays the same, you have the same weapons, same armor. How are you approaching that going into Destiny 2? Will you be separately balancing them, or trying to maintain parity? LS: We’ve got some stuff that we’ve already been able to do historically, which is adjust damage values against the monsters, etc. etc. etc. So that’s what’s going to continue. The main difference here– I guess first and foremost we’re still thinking of it the same way. One character. One arsenal. Taken across both lines. Does that mean we will always have “bring your own Guardian?” Not necessarily, but it means Destiny 2’s going to ship with “bring your own Guardian” in both. I think there are opportunities to explore the other things in that space, but for us right now, the tuning path is pretty different this time. The weapons are all hand built in a way where, before, they had random talents– We can look at an entire archetype like hand cannons. And then we can look at data on usage rates for hand cannons, and sort usage rates, and then within usage rates, check [kill death ratios] per hand cannon and find out what is actually effective and what’s not. And then, because the weapons are all hand built, we can take a given hand cannon and say “let’s change this one hand cannon” rather than “let’s pave this entire archetype.” So we have opportunities in front of us that we haven’t had before because of the way we’ve built the weapons and hopefully we’ll seize those opportunities. 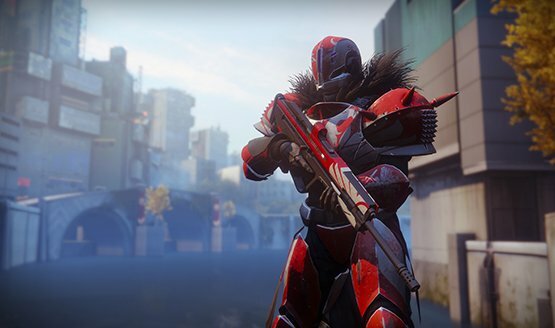 PSLS: We see the Crucible going to the new 4v4 mode, and it’s changing up the whole dynamic of fireteams. In the first, you had three man fireteams for almost every activity and then Crucible and Raids you could jump in with six-man fireteams. Now you’ve got some three player activities, some four player activities, and some six player activities. Do you worry about that fragmenting people, like those that want to hop out of a Raid and play Crucible, now they’ve got to kick two players? Are you addressing that in any way? LS: It’s a known challenge. We looked at things like PvP, and we looked at the passion of the PvP and the sandbox team. Their passion came from a place of, what can we do to make PvP as good as possible? What’s the right player count? If you look at the constraints that previously existed, things like fireteams being factors of the same size, and you say what if we got rid of those things? What if we removed those constraints? Would it let us make a better PvP game? The team answers yes and I support that too, even if it brings in some additional social friction. PSLS: The Zavala trailer was really powerful. A great way to start out the reveal event. You get that real feeling when [Ghost] is bringing him back to life, there’s a pain there. You don’t think about that with your Guardian because video games, but you kind of get that emotion– are we going to get more of that backstory of the Vanguard, more of that kind of emotion and darkness and history? LS: The Zavala piece is really a one-off. We don’t have a plan right now to do an equivalent Ikora and Cayde piece. That piece took a long time and has been on a pretty interesting journey to get to the form that it’s in today. Right now, we’ve got to focus all of our cinematics time and energy on the shipping game, and not an asset like that, which is used for a very deliberate purpose. PSLS: So it’s not something that is part of the game that we go back and see Zavala’s history? That was more of a promotional piece? LS: Yeah, it’s more of a universe piece. We feel like it has a property that lets you see some of the history of the world, look back a little bit at your time in the universe, and say oh man, that’s an awesome place. PSLS: I notice that the sound effects sound reworked overall. There’s a whole different soundscape, it feels like. Grenades feel like they’ve got more impact. The Titan jump has this gut to it that wasn’t there in the first game. 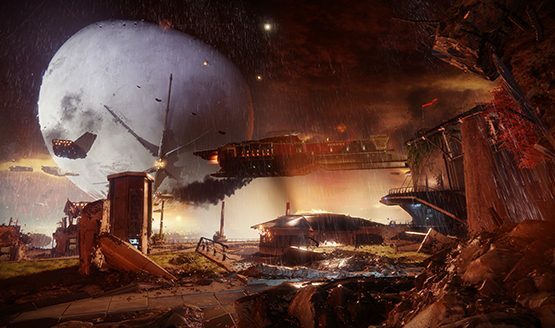 Is that a big change that you explored in Destiny 2? LS: When you think about it, put a 2 on the box is one of the phrases that we use a lot, and that means– you know, audio is a huge part of the way you interact with the game, and weapon sounds that you’ve been hearing, you’ve been hearing the same scout rifle sounds for the last three years. They’re awesome, but you want that scout rifle to feel familiar yet different. 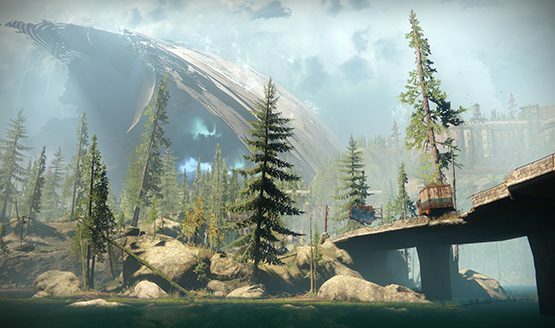 You want the Titan jump to feel familiar yet different. It changes the way it feels to play the game. PVP is going to have its own unique audio mix, which is going to make the game feel different. Audio is such a gigantic part of what matters in entertainment. Like you can play a mission, and literally be sitting there and think this totally stinks, and then the audio guys come through, and they score it, and this mission that, two days ago you were like this is not good enough, now you’re like this is amazing. It’s about the impact that audio can have on the experience. You’re noticing some of that. PSLS: Are we going to be exploring the fates of any other beloved characters? I know that the Vanguard is a big focus, with each of them being on different planets, but are we going to be seeing more of these characters that players have come to love and hate? Such as Rahool, what’s the fate of Rahool? Broombot we briefly see in the opening mission. Amanda Holliday? She might be at the farm. LS: You’re going to have more exposure to some of those folks for sure. Some will return. Some will not. Some of the characters that do not return will not have an explanation. We’re not going to say what happened to character X because you know, we don’t need to at this time, and because when character X returns, maybe that character will have a story that they want to tell you about where they went. Certainly some of those characters like Rahool– I mean, what’s a Destiny game that doesn’t have a Cryptarch? I don’t know. PSLS: So you’ll be looking at all the fan theories and laughing a little bit inside as you see what’s right and what’s wrong? LS: We get a kick out of all of that. If you love something enough to have a theory around it, that’s pretty flattering. We think that stuff’s great. LS: If I didn’t believe in the team and I’s ability to delight and surprise players, I should probably be doing something else. PSLS: That’s a good enough answer for me! We’d like to thank Luke Smith for taking some time from his busy E3 schedule to sit down and answer some of our questions. Stay tuned for more Destiny 2 coverage, and don’t forget to check out all of our E3 2017 coverage.